215 cm long (including the loops for hanging). 12 flags altogether. Each flag measures 13cm x 15cm x 15cm. 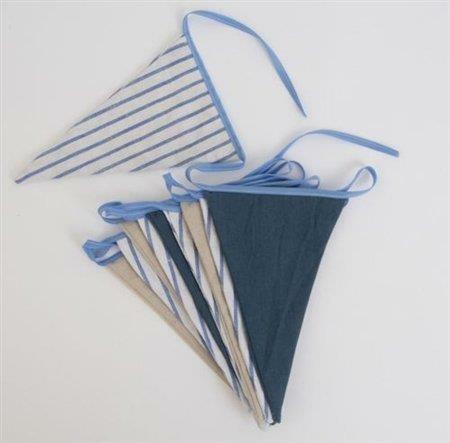 The flags are double sided and sewn on to pale blue tape.